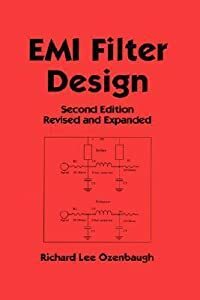 Offering simple methods of measuring AC and DC power lines, this highly popular, revised and expanded reference describes the selection of cores, capacitors, mechanical shapes, and styles for the timeliest design, construction, and testing of filters. It presents analyses of matrices of various filter types based on close approximations, observation, and trial and error. Supplying simple parameters and techniques for creating manufacturable, repeatable products, the second edition provides insights into the cause and elimination of common mode noise in lines and equipment, explores new data on spike, pulse, trapezoid, and quasisquare waves, and reviews the latest high-current filters.